Finally! 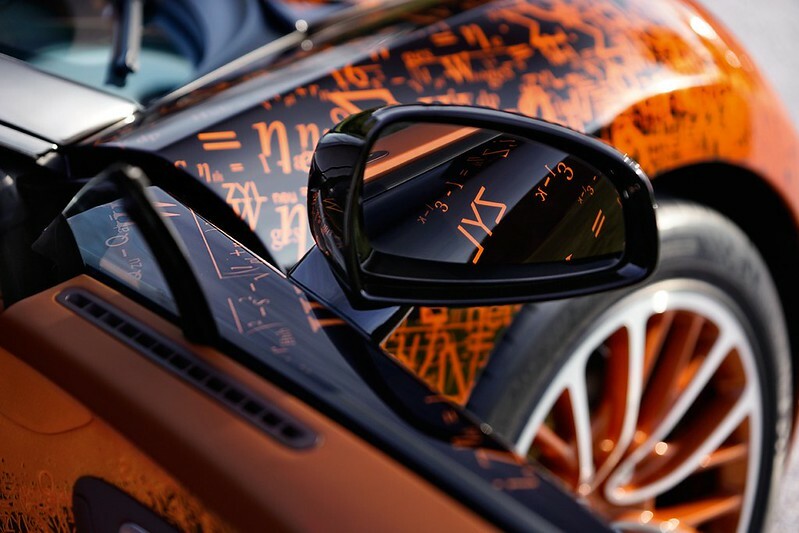 A special edition Bugatti Veyron for mathematical genius’s to drool over! 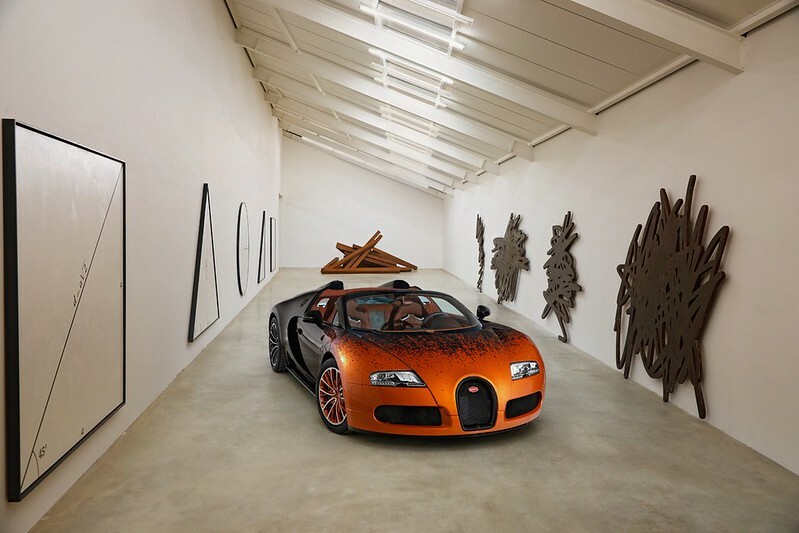 Admittedly, the Bugatti Veyron’s engineering alone should be enough the make STEM types foam at the mouth, but Bugatti Veyron Grand Sport Bernar Venet Edition is just icing on the imaginary cake. The car has been customized by French sculptor Barnar Vernet. His work has, in the past been influenced strongly by mathematics and logic, and it shows in his art. Most of his sculptures since the 70s are geometric shapes and carefully aligned curves. While those things are all “important” and have received ”critical acclaim” over the past 40 years, I gotta say, this Veyron is probably the coolest. From an art-illiterate gear head’s point of view anyway. His background does explain why the Veyron was a natural fit. 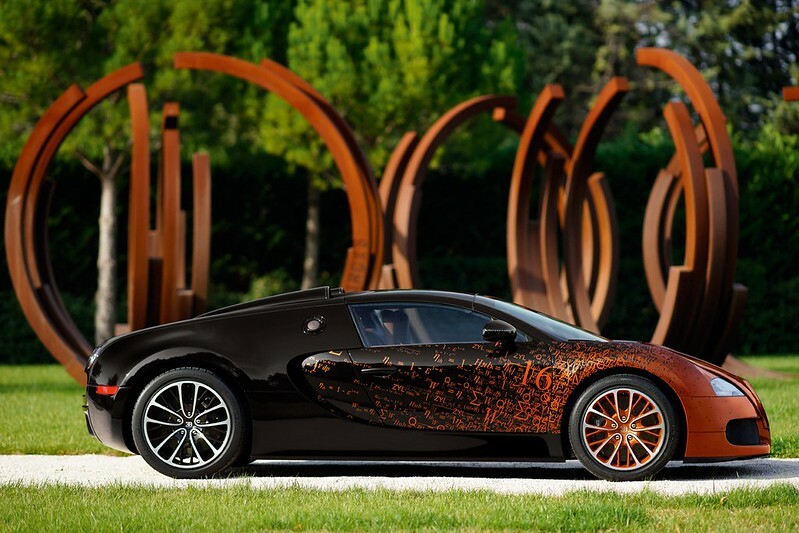 Bugatti touts the Veyron as the intersection of art and engineering at it’s highest level. After approximately a million special editions, it’s about time they made good on one that celebrates that claim. 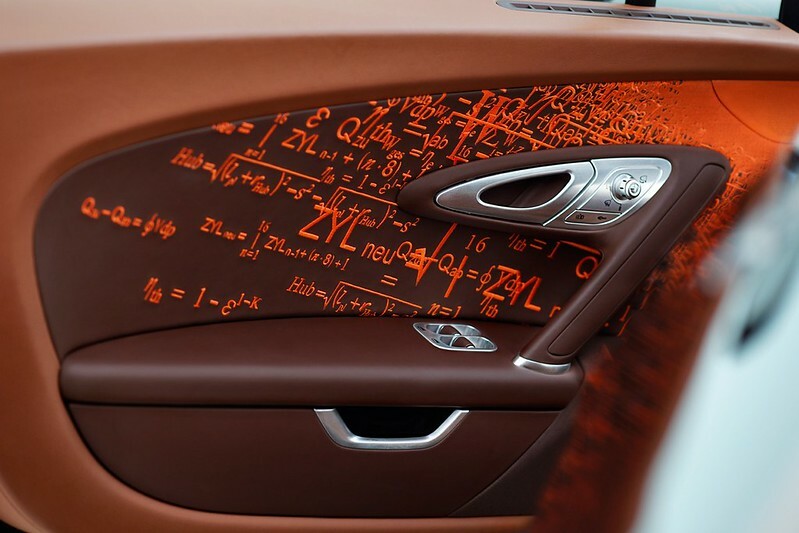 According to Vernet, the formulas on the side are the ones used to calculate the Veyron’s power. The bronze lettering has been applied with a vinyl, but the interior has actually been re-embroidered. Unfortunately for the millionaire math majors of the world, the Bernar Venet Edition is a one-off. It’ll be on display at the Art Basel Miami show December 6th through the 9th.